than graceful landing into his seat. The wheels of his 747 don't gently kiss the ground, the plane bumps and skids onto the landing strip. The final approach to the terminal is bumpy. You get the point. In short, the flopper sits down with a THUD. 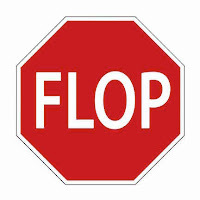 The flop is so eventful that everyone in the vicinity is immediately aware of the flopper's action. #TTIV has characterized several distinct flops, and they're the topic of today's story. Let's get to it. The accidental flop. 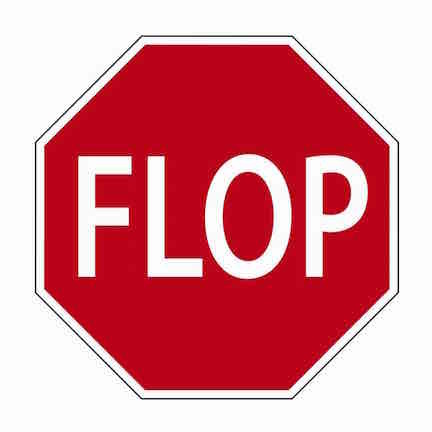 This kind of flop is often spotted when a person boards just as the train is about to leave the station. He arrives at a seat and starts to get settled. He's standing in front of the seat and suddenly the train jerks. BOOM. He's off balance. He's down. He's in his seat. If he was holding a bag of popcorn, his neighbor gets a popcorn shower. The destructive flop. Take a look at Exhibit A. See the armrest? It looks innocuous, I know. But trust me when I say that the armrest is up to no good. If you happen to be wearing a pair of slacks, there is a good chance the armrest will slip into your pocket as you sit down and rip your pants. And it won't be along the seam. It will be a full fledged tear across fabric. That tear is LOUD, I've heard it many times, and have twice been the victim of a destructive flop. It's not a happy experience. The Long Island Rail Road begrudgingly reimburses destructive flop victims for the cost of the ruined pants, and it makes them unhappy because every dollar returned to a commuter is dollar removed from crucial pension scams. The overloaded flop. Imagine a guy boards the train and he's carrying a huge suitcase. Or suitcases. Like many other commuters, he's skittish about putting those cases up on the overhead rack (although I'll never understand why). He's going to sit down with those cases in his lap. He awkwardly approaches his seat, and pivots to position himself for the landing. BOOM! He and his bags flop into the seat at 82.9 MPH. Everything in his vicinity flies, including beer bottles, small children, papers, and 200+ pound seat mates. What other kinds of floppers do you see on trains and buses? Drop me a line at thetrain.invain.829@gmail.com or share your story on social media using #TTIV.